In force from 6 April 2017, the apprenticeship levy will apply to all employers (including private and public sector employers, as well as charities and educational groups) with an annual pay bill of more than £3 million. The levy, charged at 0.5% of the annual pay bill, aims to increase the quality and quantity of apprenticeships, and fund three million apprenticeship schemes by 2020. A levy allowance of £15,000 will be offset against an employer’s levy payment, meaning payments will only need to be made in respect of 0.5%, which exceeds £15,000. Only one allowance will apply and so employers with multiple payrolls cannot claim multiple allowances. The levy payment will be collected monthly by HMRC, alongside the usual PAYE payments. Once paid, the levy will be accessed via the new Digital Apprentice Service account, which employers, after registering their details online, will be able to access and draw down vouchers for each of their apprentices. Vouchers can be used from May 2017 but only with registered training organisations. Vouchers can be used on new or existing staff, provided they and their training needs meet set criteria (CPD training does not fall within the apprenticeship standards). Vouchers can also only be used towards training, as opposed to apprentice salaries, travel costs or costs associated with setting up an apprenticeship. The government will also apply a 10% top up to the apprenticeship funds available in an employer’s account and funds will remain in that account for 24 months, unless spent on apprenticeship training. If unspent, the funds will simply expire after 24 months, although a ‘first come, first served’ approach will be taken and the oldest funds will automatically be used first, in an attempt to minimise the amount of expired funds. The government has introduced anti-avoidance measures, however if these measures cannot counteract the advantage gained by the business, it will be denied the £15,000 levy allowance for the tax year. 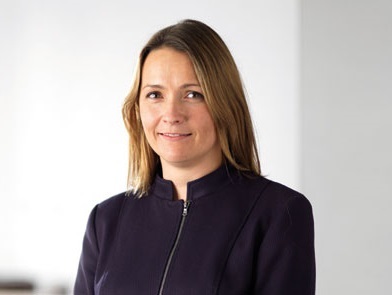 Catharine Geddes, Employment Partner and Head of HR at Bournemouth-based Lester Aldridge, commented: “Employers who pay into the levy scheme should be given access to the Digital Apprentice Service in February 2017 and they can then better plan how the new apprenticeship scheme will work for them. Employers who don’t need to pay the levy should also consider where apprenticeships can best fit within their businesses as the government has confirmed it will contribute at least 90% towards the cost of apprenticeship training, with other grants and funding arrangements being available for small employers ”. For advice and assistance with apprenticeships and the levy, or any aspect of employment law and HR, please contact Catharine or a member of her team on 01202 786 161. Catharine is a very experienced employment lawyer and HR advisor. She advises clients on a wide range of employment law, HR matters and licensing queries providing sound and practical support as needed. Catharine is commercially focussed and helps to position clients so they achieve the best results for their organisation. She adopts a proactive approach as she guides her clients on daily legal and HR matters – from positive initiatives such as recognition, reward and retention schemes to more formal issues usually arising from disciplinary and grievances.